IT’S NOT often that you hear of tools being supplied from South Africa to Germany, if ever for that matter, but remarkably that is the case at HellermannTyton in Johannesburg. 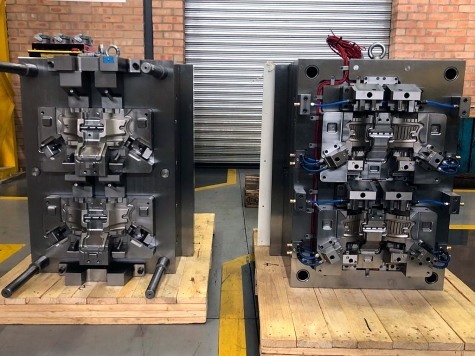 The engineering team at the company’s Linbro Business Park plant is, surprisingly, supplying moulds back to the global group’s German parent company for use there and by other Hellermann manufacturing companies internationally. Headquartered in Germany, the HellermannTyton group is involved mainly in the production of automotive & electrical cable management components. 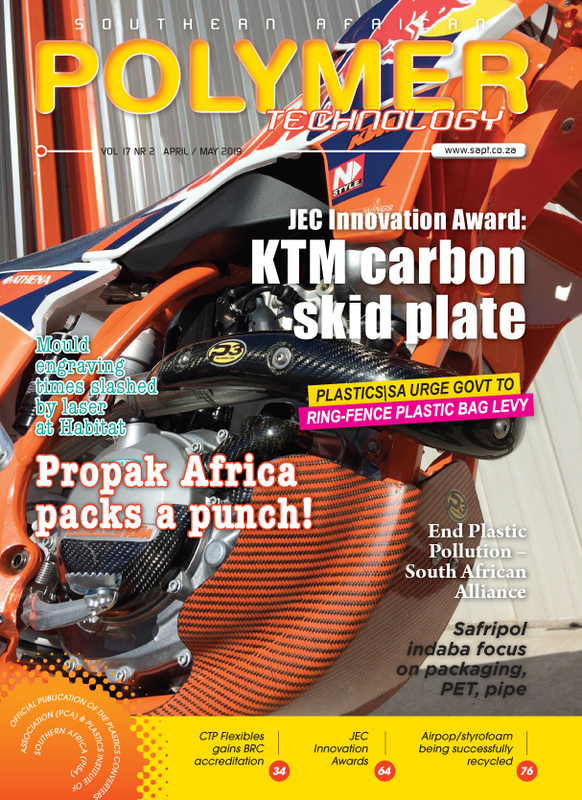 In South Africa, however, the company is involved almost solely in the manufacture of cable ties and related cable management components; the SA group company is the leader in this very competitive area in the southern Africa region. Up until recently all the SA company’s moulds were acquired from other group companies internationally, and a large portion of the group’s moulds were being manufactured in the groups manufacturing plants in Europe and China. It was decided to expand the Johannesburg toolroom’s maintenance and manufacturing abilities, and potentially do more new and automotive component manufacturing, and the opportunity to do so was presented when HellermannTyton SA purchased PVS Engineering from Pretoria in 2015, specialising in Engineering, Design and manufacturing of moulds and automotive components. The directors of HellermannTyton SA identified PVS Engineering a suitably skilled toolroom for merging, with the aim of expanding auto component production by the company in SA, in sync with other HellermannTyton group manufacturing units globally. Fortuitously, the merge of PVS by HellermannTyton SA went through smoothly and the company’s plant and machinery were moved to Linbro. At that stage all the SA company’s moulds were still being supplied from other group companies and the initial intention was for the engineering team to perform mainly repairs to moulds on site, but it appears the team led by Peter & Jonathan Phillips did not stick to the script and put their skills to work in building moulds for cable tie production and local OEM automotive production supply. which – due to the thin and long flow paths required – are seen as challenging, not least because cable tie production by definition requires multi-cavity operation, complicating the undertaking. Thereafter, the toolroom managers at HellermannTyton GmbH in Tornesch, Germany, gave the local team the go ahead to build cable tie moulds. The construction of automotive moulds tends to be significantly more complicated, as many of the plastic parts in use have complex geometries. After completion of the first auto mould design and construction job, carried out by father-and-son team Peter and Jonathan Phillips and their toolmakers and appies, was successfully trialled, the team got the green light to proceed. Such has been the expertise and momentum built up over the past three years that the local team has been building moulds for use in Germany and elsewhere in Europe, and the demand is not only based on the fact that the exchange rate favours the euro-zone group customers. The team have received some accolades from the parent company, with the comment “We’ve never seen something like this come out of Africa” being especially memorable. The success so far is to a great extent the result of good teamwork and leadership “We have a close knit team who should take full credit for the growth opportunity that has been created after Germany realized the SA engineering team’s tremendous capabilities,” said Chantelle Phillips, Technical projects manager at HellermannTyton in Johannesburg. HTSA Engineering is now also part of the global innovation group with annual global meeting sharing information, technologies and ideas in improving standards, processes and technologies in the group.